For the first time ever, amateur athletes have access to many of the same training methods used by numerous WTA and ATP players who train at world-renowned Athletes’ Performance facilities. This revolutionary training system will make you stronger and faster and reduce your risk for injury. You’ll have access to the same resources the pros have, including cutting-edge exercises with coaching keys. 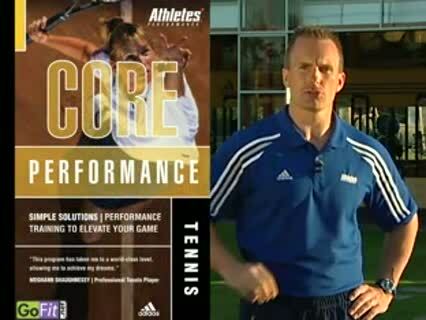 Best of all, the training system is comprehensive yet simple enough to follow for players and coaches of all levels. As long as you pledge to work hard, this system will lead you to results that will revolutionize your game.